If you have a passion for aviation and want to work in an industry where the sky is the limit, you’ve come to the right place! Whether it’s sitting in the captain’s seat of an airliner, working on a corporate flight crew or flying air charter…as an Academy College grad your dreams will become a reality! Commercial Pilot > ATP Certificate! Commercial Pilot program for reduced aeronautical experience.Call today to discuss this fantastic opportunity and what it means for you! Partnering with Thunderbird Aviation-the Upper Midwest’s leader in general aviation since 1962, Academy College offers a robust pilot training program centered around hands-on skill development. 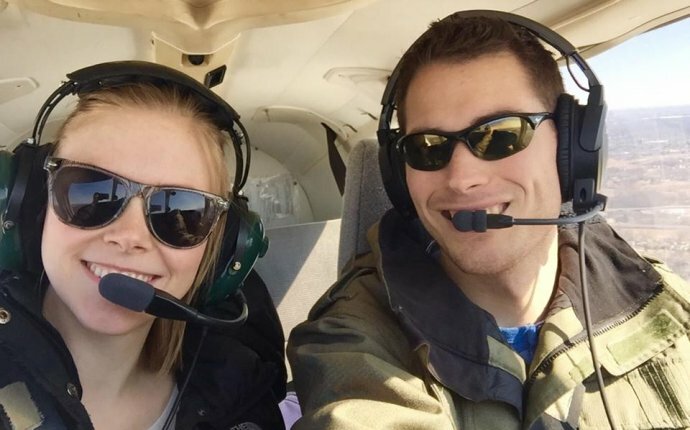 Our FAA Part 141 approved curriculum allows flight students the opportunity to step into ground and flight training courses as soon as their first day of enrollment! Flight training is conducted at Thunderbird Aviation morning, afternoon and evening. Academy flight students will reserve an aircraft three to seven days per week… the number of days in a week is up to the student. The more you fly, the quicker you will make it through the flight program! Career focus is priority one at Academy College! Our Career Services team works diligently with newly enrolled students to locate aviation specific employment opportunities while in school. Although, you may not be ready to be employed as a pilot six months into your program, you certainly have the skills to step into line crew, ramp agent, de-icing, baggage handler or customer service positions within the aviation industry. These opportunities in both the General Aviation and Airline industries are critical in providing industry related experiences and aid in strengthening your future Pilot resume. Upon graduation, the typical first position for a Pilot is Certified Flight Instructing. As an Academy College Professional Pilot graduate, you’re in luck!! All Academy grads are provided a guaranteed Certified Flight Instructor interview with Thunderbird Aviation. You may also be interested in taking your training and experiences and moving beyond Minnesota. If so, go for it! Our graduates have secured key CFI positions with a variety of employers throughout the country. The majority of aircraft pilots work in a CFI position for 1 to 3 years gaining leadership experience and logging hours towards the goal of 1000 to 1500 total hours. Once achieved, the opportunities are endless, which pilot career path you select from here is up to you! Now that you understand a bit more about flight training through Academy College, what else is there to consider…how about the following?